The Infrared Shower range comes in a Single, Double, Corner & Stand alone shower. The Infrared Stand Alone Shower is perfect for outdoor or indoor use in any house! Being long and thin, the shower can fit in a bathroom of any size or a small outdoor area. With multiple colours available, the shower will fit right into your home, giving you the luxury to use it at any time! Four different colours are available. Size: 690 x 248 x 1900 Specifications: 1) Touch Controller. 2) Black Aluminum and Black Glass. 3) Top Shower. 4) Handle Shower. 5) Wall Install. 6) Wood frame packaging. 7) 1 Top infrared heater 200W. 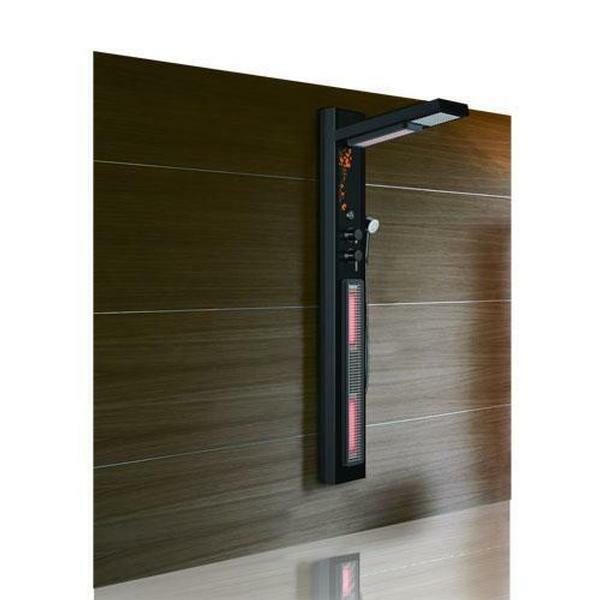 8) 2 Side infrared heater 250W.